The Fourth Industrial Revolution will eliminate millions of jobs and create millions of new ones. Today, stakeholders – customers, shareholders, suppliers, employees, political leaders, society as a whole – rightfully expect companies to assume greater social responsibility, for example, by protecting the climate, fighting for social justice, aiding refugees, and training and educating workers. The business of business should be to create value for society. 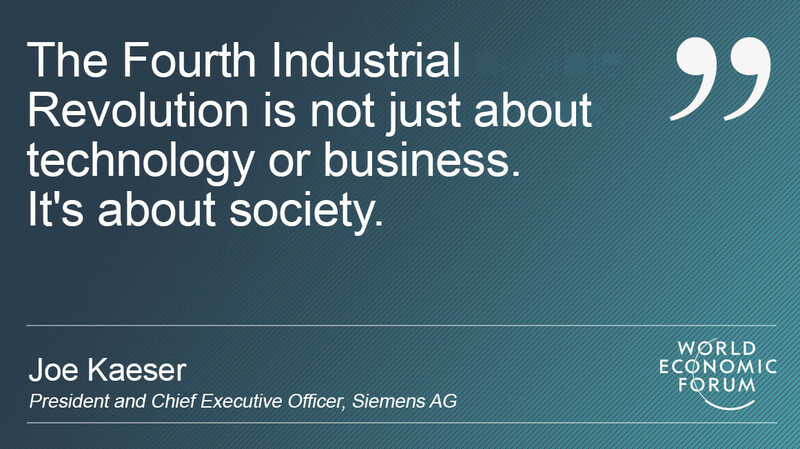 At Siemens, we call this "business to society".